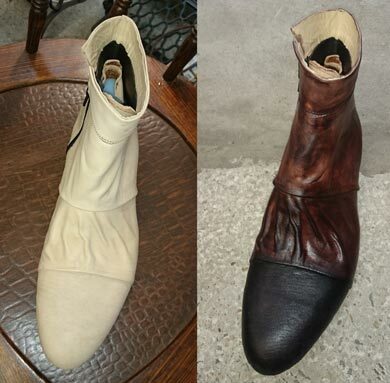 Have your shoes repaired and restored by expert Shoemakers and Cobblers. We will give you an honest appraisal and in most cases, quote a fixed price to complete the work using quality materials. We use Topy and Vibram rubber products and high quality Italian and German JR (Jrendenbach) leather soles. Do not hesitate to contact us for a free appraisal. All repairs for RM Williams boots including half and full sole replacement, welt and sole stitching, gusset elastic replacement, heel counter replacement etc.